Located in the Hessville Community of Hammond, IN we have served the Northwest Indiana region since 1949. 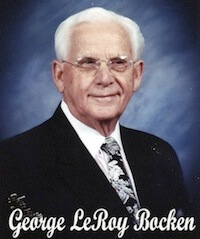 When by faith, George LeRoy Bocken converted a two story residence at 7042 Kennedy Ave., into the Bocken Funeral Home. Since then the building has seen several expansions and the Bocken name has become an icon of tradition within the Northwest Indiana region. Mr. Bocken's faithful Christian Testimony has been carried down thru John C. and Linda L. Ault, owners from 1970-2006 and now entrusted to Jose G. and Denise M. Corona. As an independent and family owned Funeral Home our first priority continues to be the care and comfort of each family that we are privileged to serve and to be a positive influence in our community.